ONLY 40 MILES TO DOWNTOWN CHICAGO! Near Chicago Land's Route 66 Speedway & Metra Train Station. 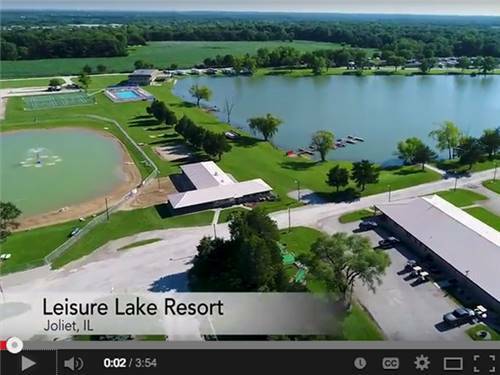 Offering Planned Activities, Dances, Entertainment, a stocked fishing lake, sand bottom swimming lake, pool, pickle ball & much more. Come experience our resort! It's an 'ok' place to drop anchor. The sites are big and level. The lake in the center of the park is a nice feature. It is very close to the Interstate and very noisy with all of the late night truck traffic. We only stayed for a couple of days and don't have children. The place has lots of activities for youngsters. The park staff, for the most part, were very nice. The big fella who answered the phone when I booked ( I'm guessing the manager ) really lacks people skills. He was abrupt, rude, curt, and unfriendly. Almost told to him where to go, but, maybe he was just having a bad day. This is a members only facility. Very clean and well kept. Just off I-80 but not near enough to hear the traffic. 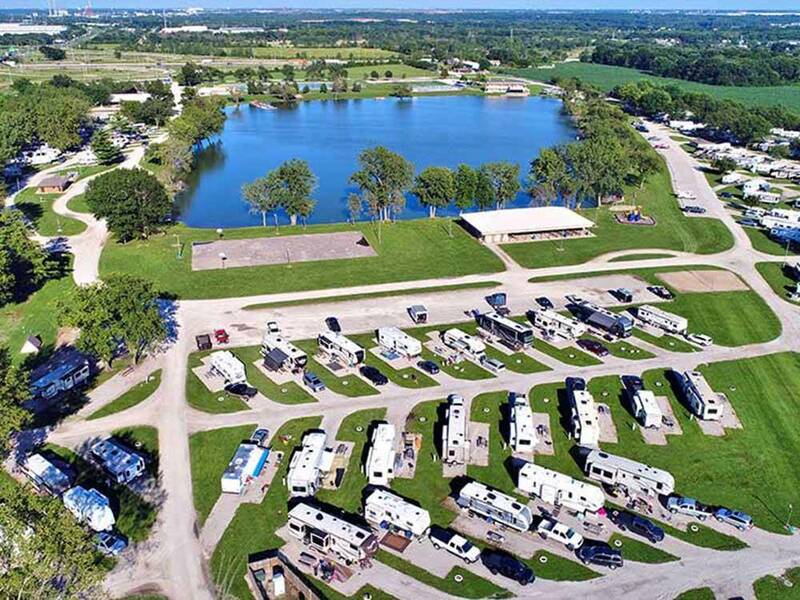 Book early as the campground can fill up for a weekend. 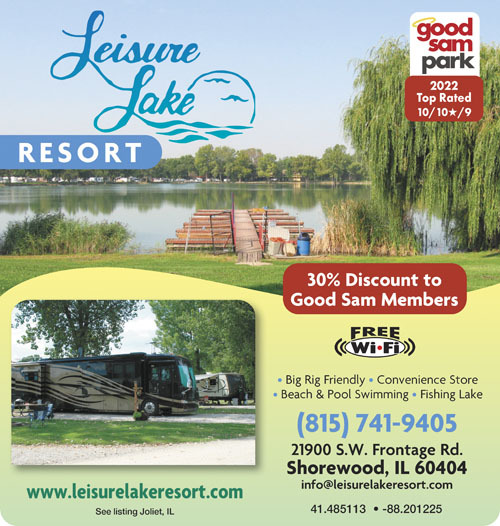 Very nice campground with many things to do! We used the fishing lake, swimming beach, mini golf and pool. Everything was clean and in order. Office staff was friendly. The bath house closest to our site was clean and adequate. Our site was pretty level on concrete under trees. We stayed in the 100 section. Quiet time was followed. Cons are highway noise and dust from gravel roads. I would stay there again. Great park. VERY clean and well kept. Roads are gravel but very well maintained. Lots to do in this park and it is great for all ages. Well maintained, large pull-through, quiet and peaceful, excellent welcome, wifi reception very good.Only glitch for us was the dusty alleys. Although 40 miles from Chigaco it is very practical to visit it since near the junction of I80 and I55 which brings you right downtown.